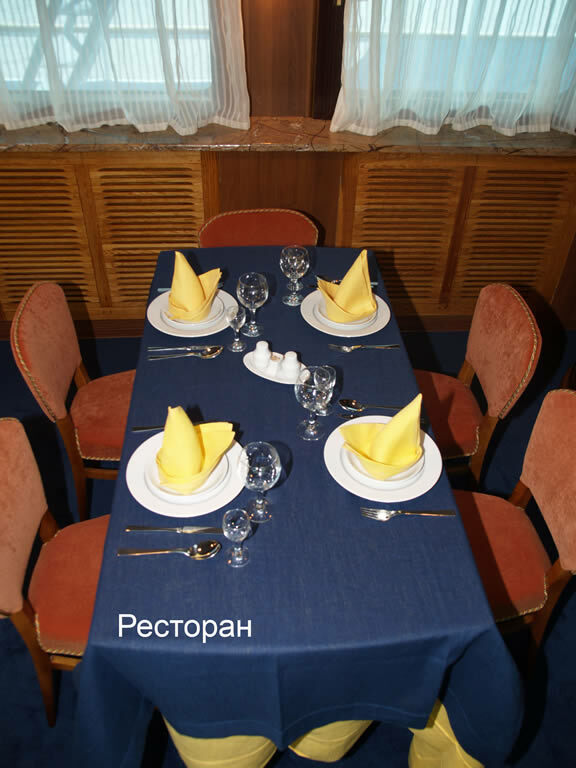 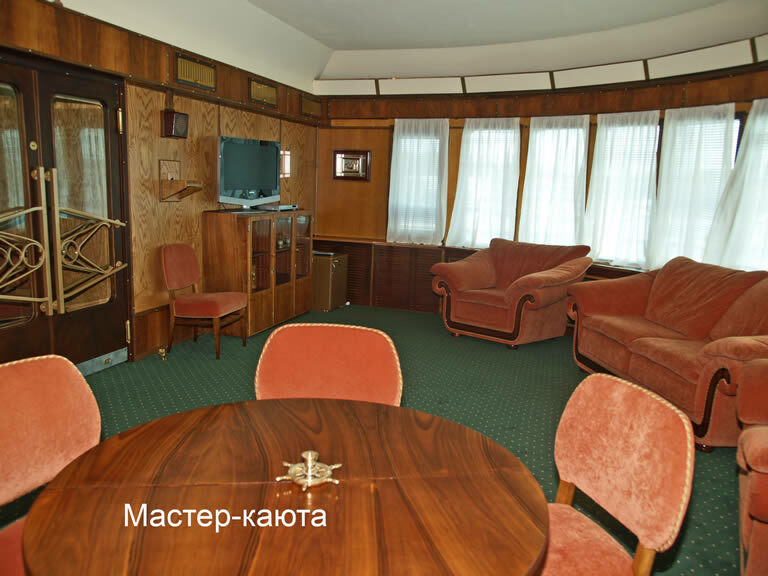 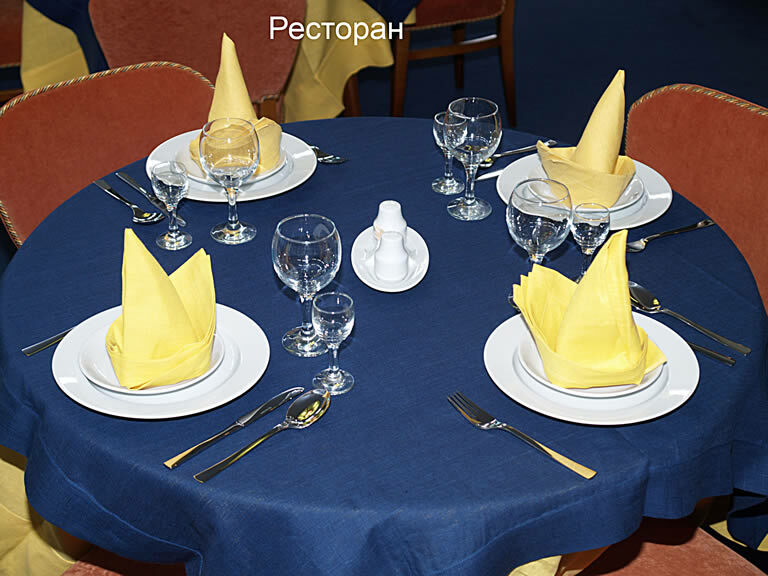 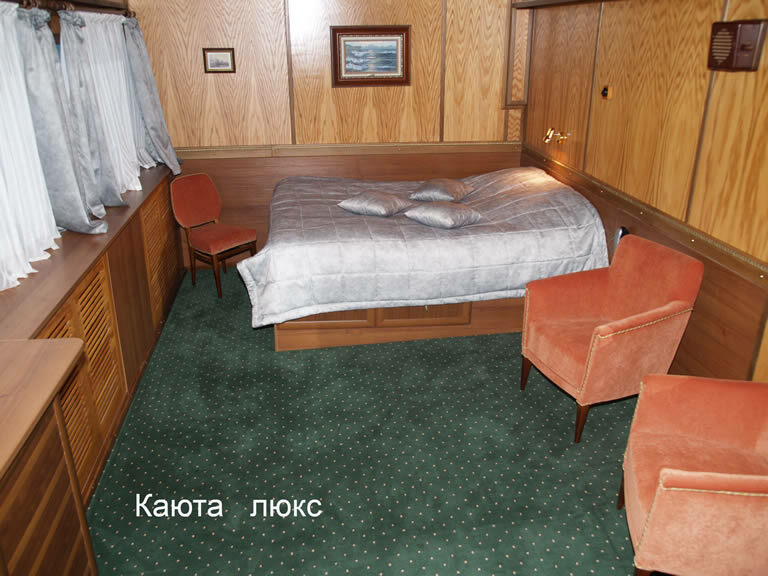 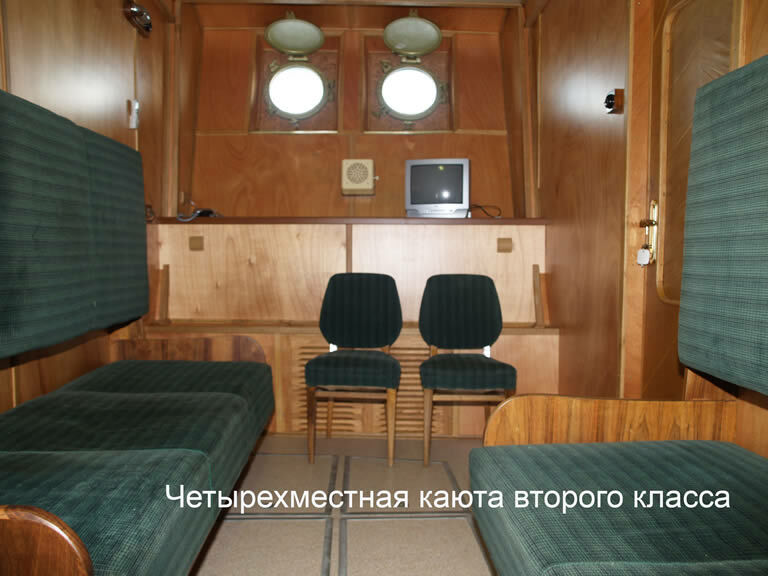 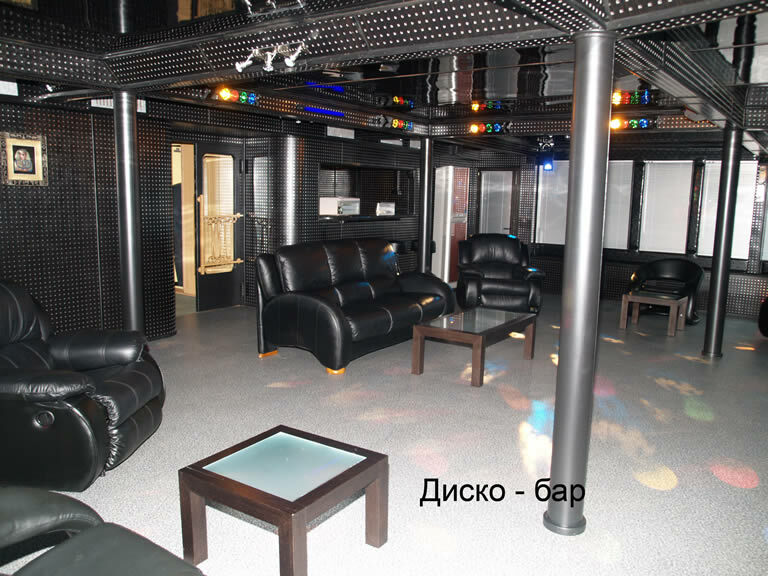 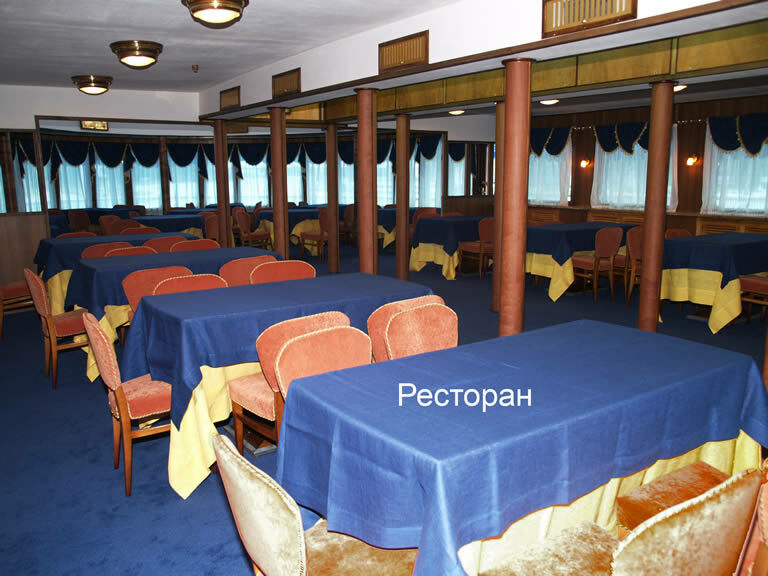 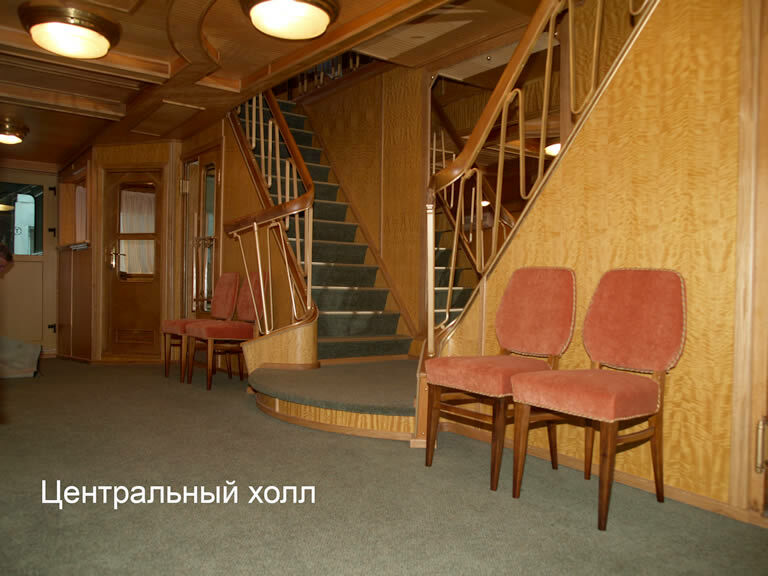 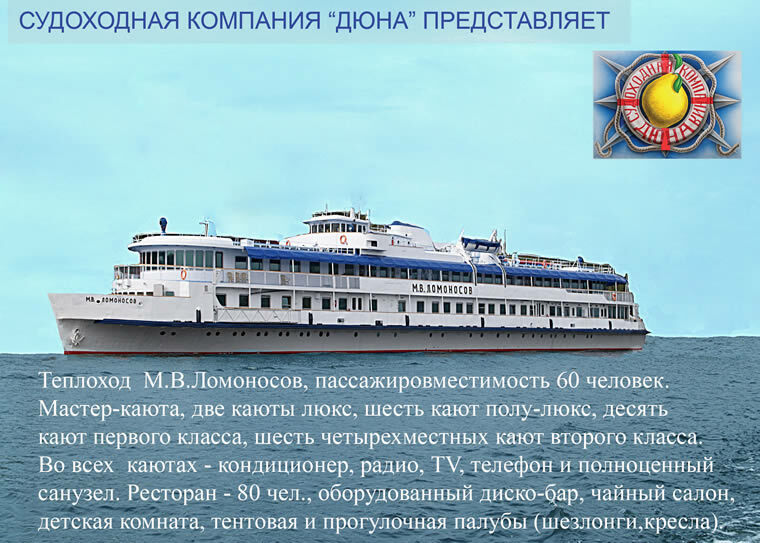 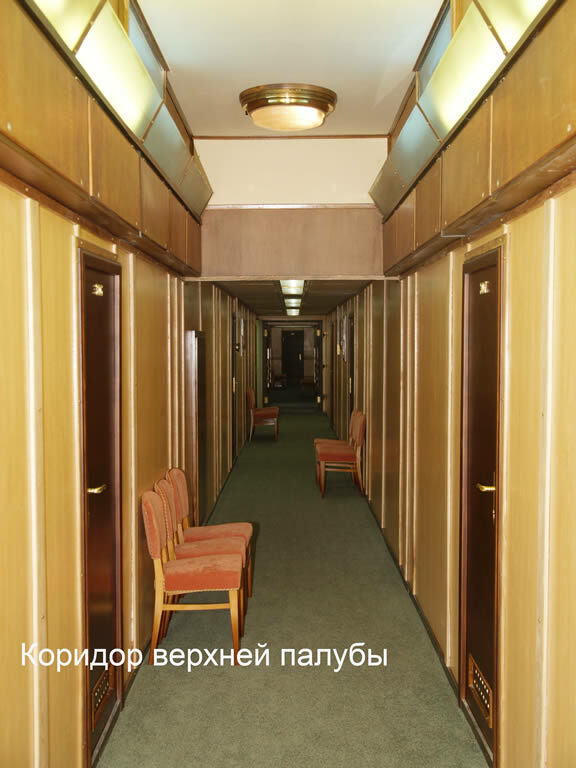 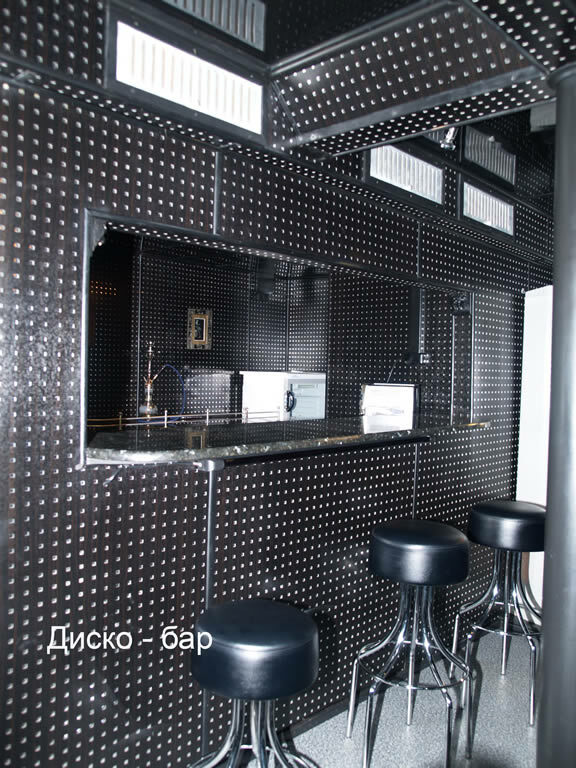 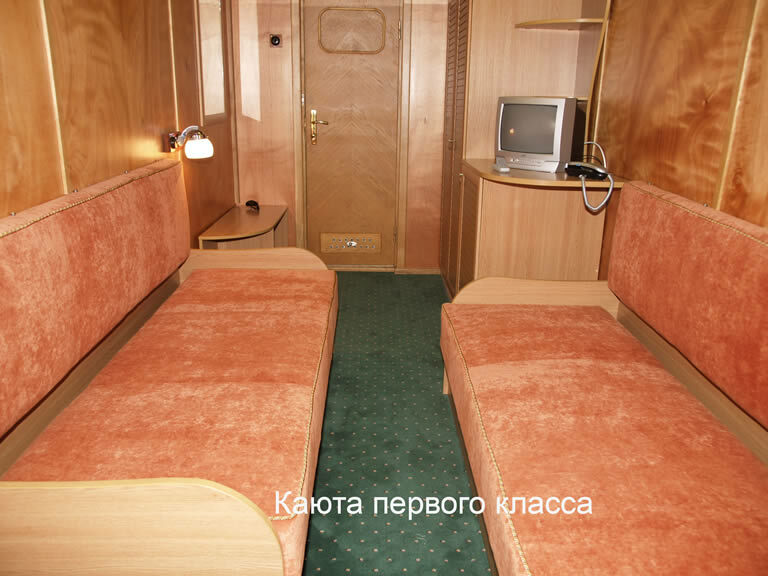 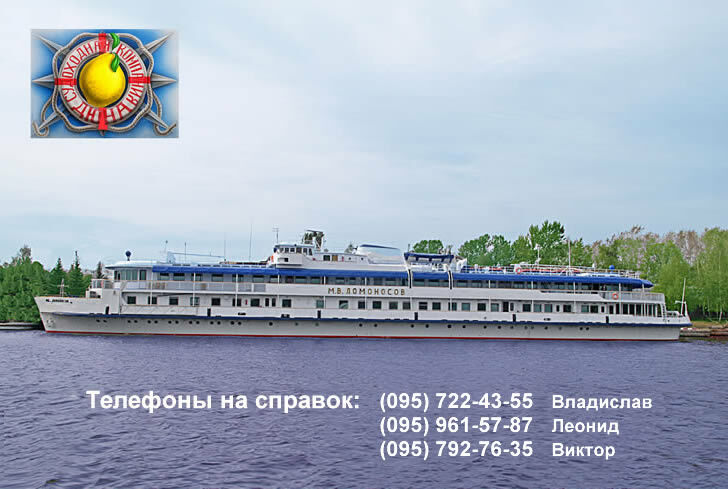 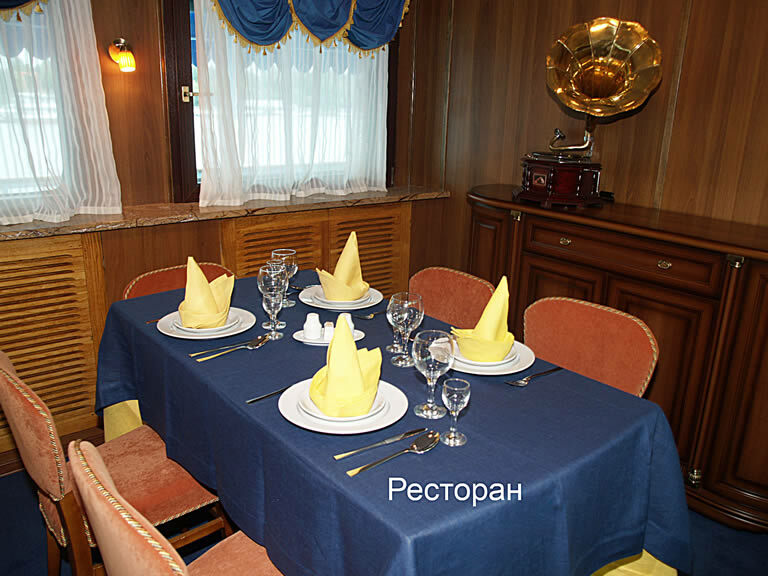 Hotel on the water - Motor vessel "M.V.Lomonosov"
Motor vessel "M.V.Lomonosov", passengers capacity - 60 person. 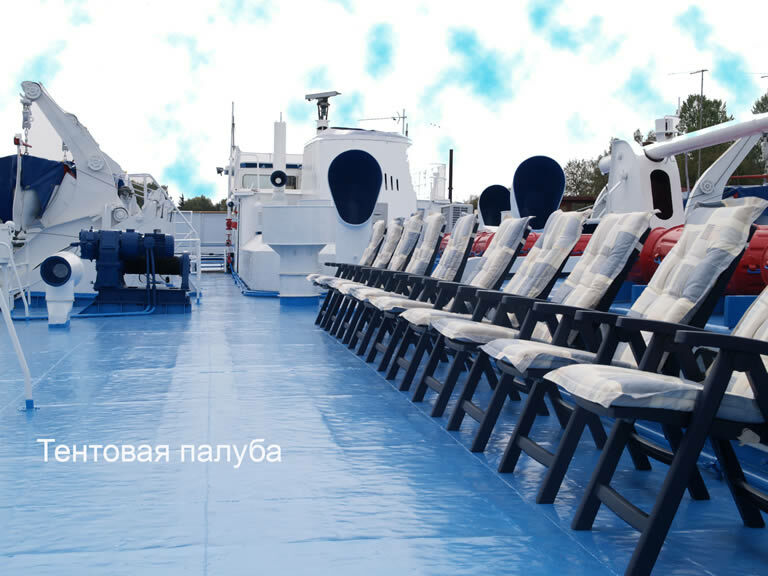 For comfortable rest at the vessel there are stipulated the master cabin, two lux cabin, six junior suite cabins, ten first class cabins, six cabins of the second class for four seats. 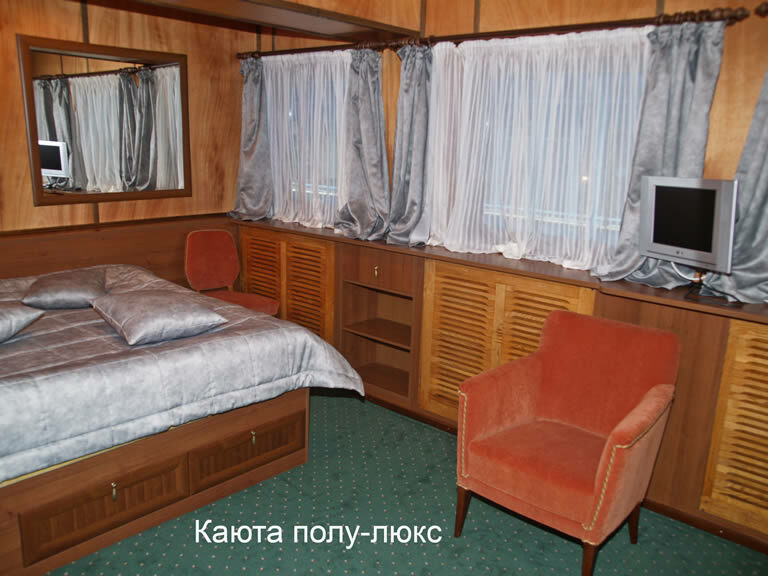 All cabins are equipped by conditioners, radio, TV-receivers, phones. 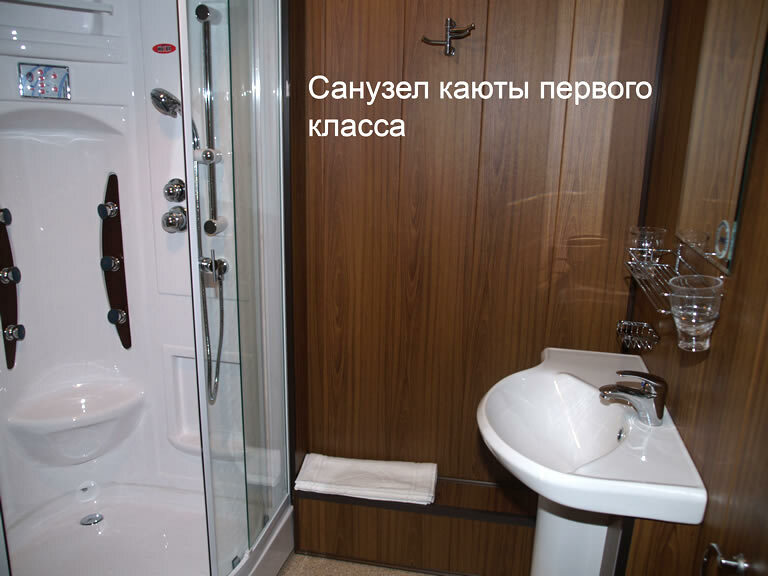 In all cabins high-grade bathrooms with the shower cabins are stipulated. 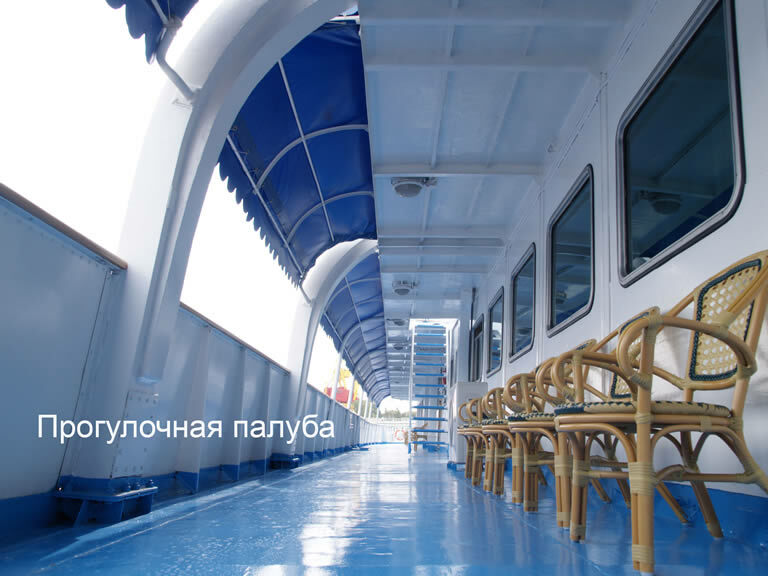 travellers is awning and walking decks with chairs and armchairs. 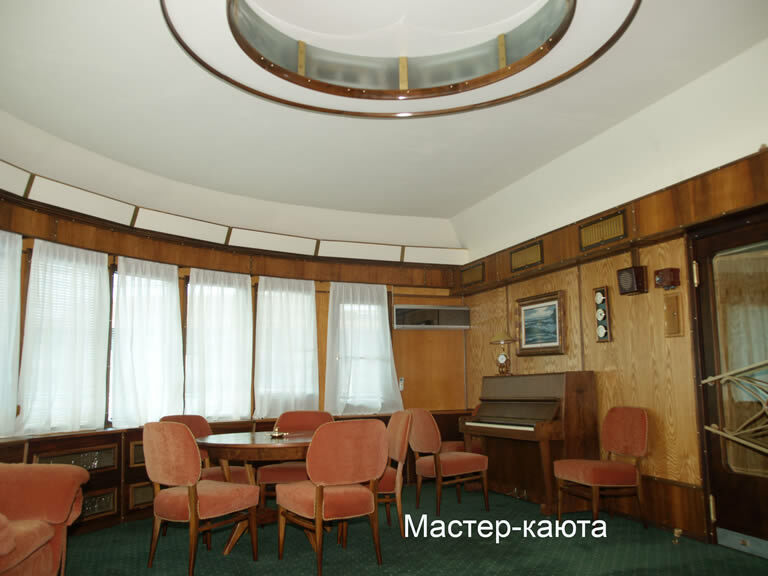 For the children's rest there is an interior. 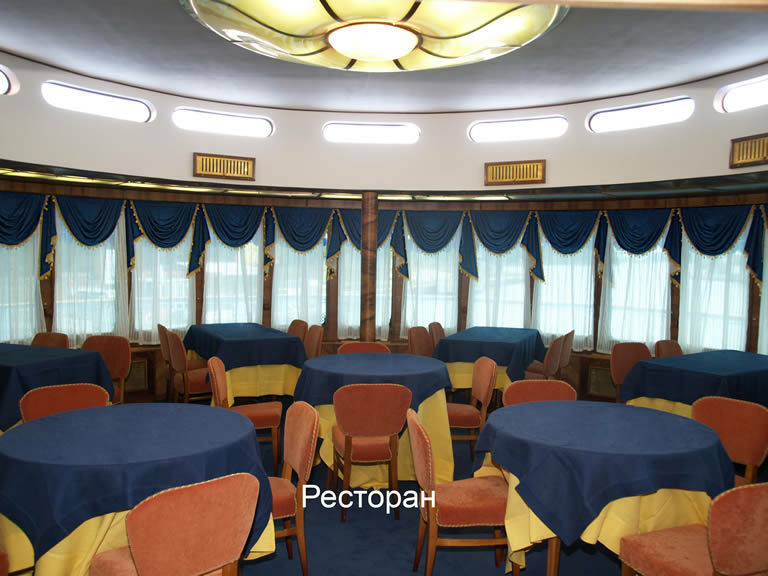 The qualified pedagogical worker makes an interesting work with the children. 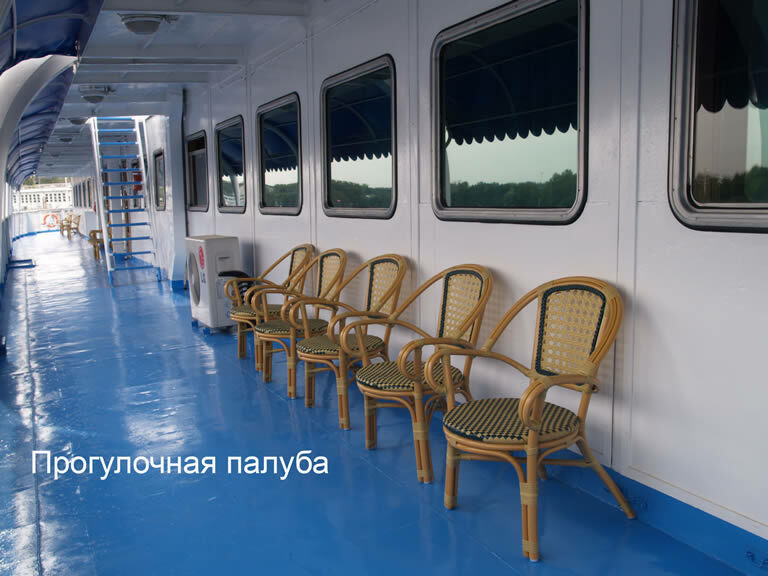 Travelling on the rivers of Russia - Volga, Kama, Don, White, Oka, Sheksna. 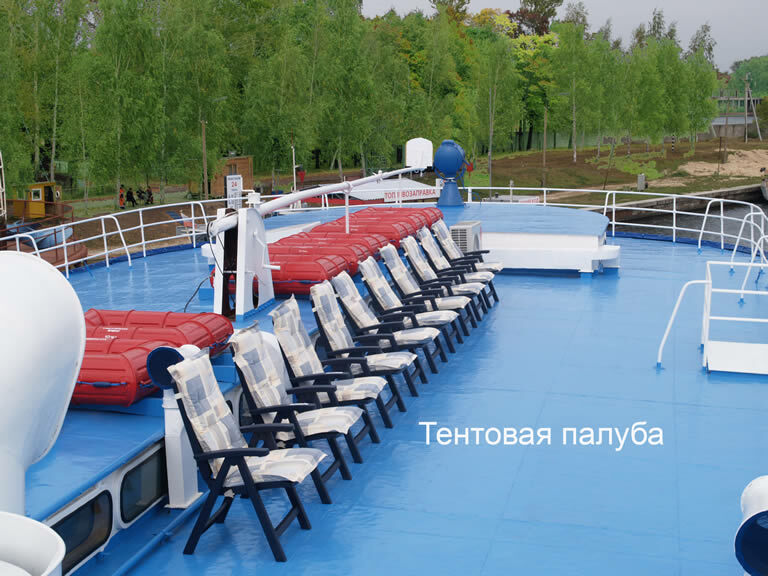 Opportunity of parking in cities: Moscow, Yaroslavl, Kostroma, N.Novgorod, Cheboksary, Ulyanovsk, Kazan, Samara, Saratov, Volgograd, Astrakhan, Rostovon- Don, Perm, Ufa, Ryazan, etc.